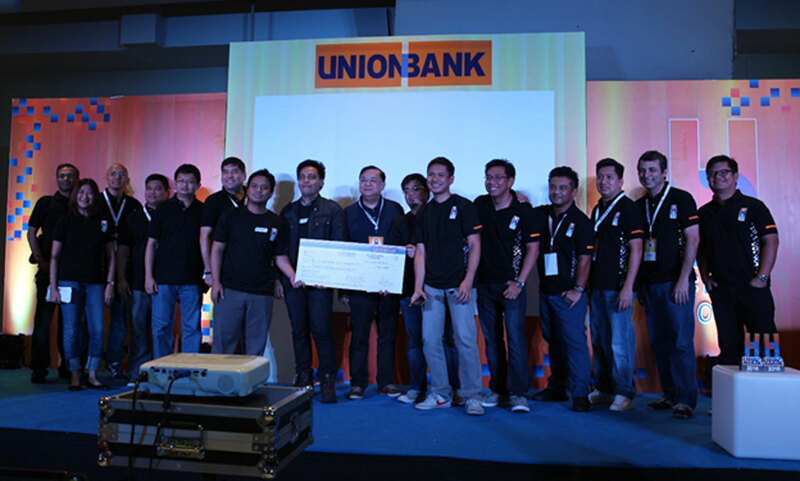 UnionBank once again had a successful run of the second leg of its UnionBank Hackathon and Convention (U:HAC) held at SM Megamall’s Megatrade Hall 3, Mandaluyong City last August 27 & 28, 2016. More than 300 participants were welcomed by none other than UnionBank Chairman and CEO Dr. Justo A. Ortiz, President and COO Edwin R. Bautista and SVP and HR Director Michelle Rubio who each delivered inspiring messages to the crowd. 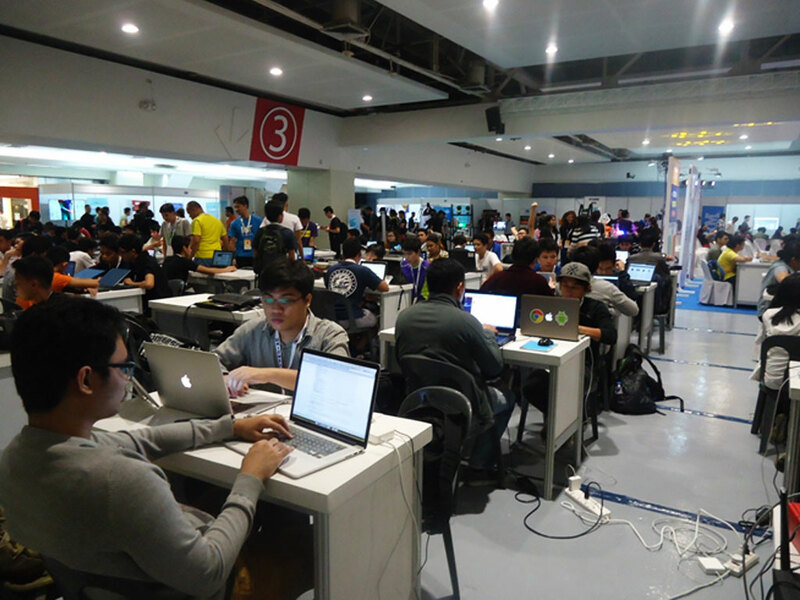 The 58 teams composed mostly of students and professionals joined U:HAC Manila and busted their brains out to reveal to UnionBank executives and event partners what digital solutions they have for the 10 wicked challenges presented at the event. These challenges ranged on problems centered on education, unemployment, pollution, climate change, healthcare, poverty, community building, disaster resilience, building sustainability banking in the future. With their laptops, mobile phones, creative minds and inputs from the mentors present, the U:HAC participants took advantage of the time given to them to code and develop their digital applications. Even as the venue closed for the day, they still huddled together in other sites such as coffee shops and at homes to complete their projects. All were in high spirits the next day when they presented and pitched their projects to the judges composed of UnionBank executives and event partners. The top 12 groups were chosen based on their projects’ creativity, novelty, functionality and impact to customers. The top 12 again did another round of presentation to the judges where the top 3 winners were selected based on the project’s technical difficulty, innovation, business impact and demonstration. Team White Cloak was declared the grand prize winner for their innovative solution of uBank, which is an app that utilizes speech recognition and natural language processing to make telebanking more convenient, more cost-effective and more powerful. 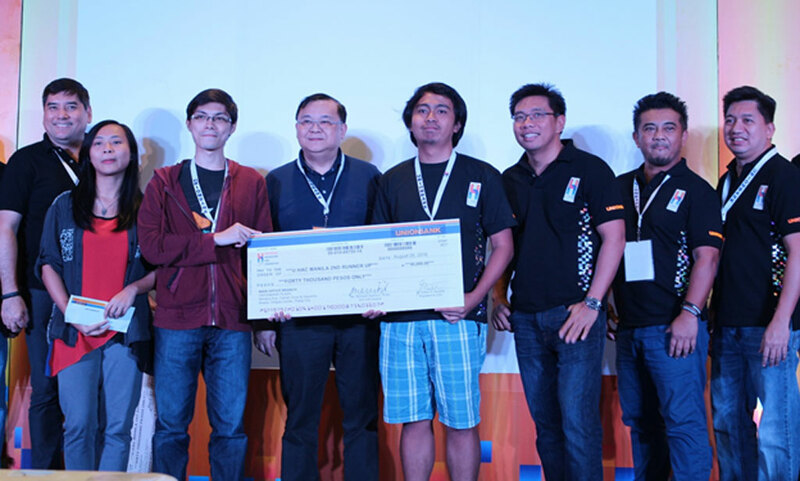 They won the doubled-up prize of P160,000 and P30,000 as Special Prize from IBM Bluemix plus Cloud Credit from IPC. Second place winner went to Team Chibot who won P60,000 for their digital application Property View-R, a virtual reality listing of foreclosed properties where buyers can easily get to view the property and speed up the procedure of processing the property’s selling through online customer information. 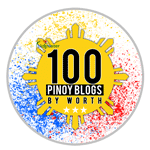 Static CJ was named third place victor and received the prize of P40,000 for their UnionBuddy mobile app, which uses cashless transaction services between small business owners and consumers. 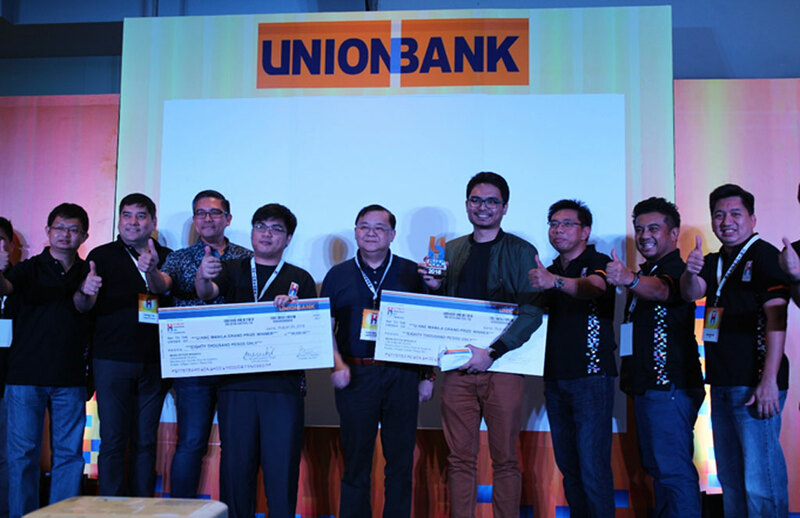 U:HAC Manila provided the participants the knowledge that UnionBank supports digital innovations in pursuit of its goal of Smart Banking in all its operations. 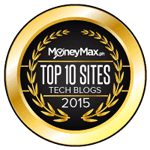 It gave them the opportunity to showcase their talents and skills in developing digital solutions to the Bank and possibly develop their careers with the Bank. 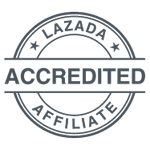 Prior to U:HAC Manila, UnionBank previously hosted its first ever U:HAC in Cebu last August 6-7, 2016.